ASIS International is the premiere security association in the world and is dedicated to the professionalism and training of security professionals worldwide. The Orange County Chapter is one of the largest chapters in Region 1D, encompassing Southern California, Nevada and Hawaii. In today’s global economy, professionalism information resources are becoming increasingly important. As a security professional, we face new threats and evolving priorities every day. The connections you make and the intelligence you gather through your ASIS membership will always keep you at the forefront of your profession. Your membership includes access to premier networking opportunities, relevant security related information, world class professional development programs, member exclusive scholarships and awards through the ASIS Foundation, and a subscription to the award winning Security Management Magazine. Please consider becoming a member of the world's premier security association by joining today. 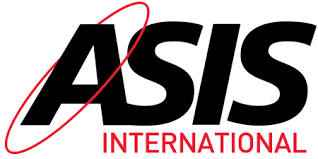 Please visit the ASIS International website membership page and enhance your security career. YOUR 2019 CHAPTER DUES CAN NOW BE PAID ON-LINE - Each ASIS chapter is self-supporting and gets no financial help from the international body. The Orange County chapter has a very low $20 per year membership dues to help offset expenses that directly benefit members with location and program costs. The fee is due starting in January. Please click on the below link to pay your dues. Your board thanks you for your continued support. With the support of ASIS International, member and chapter donations and corporate support, the Foundation invests in elevating security practice through research and education. The Foundation's work is supported solely by voluntary contributions. Your gift, no matter the size, is critical to our success.